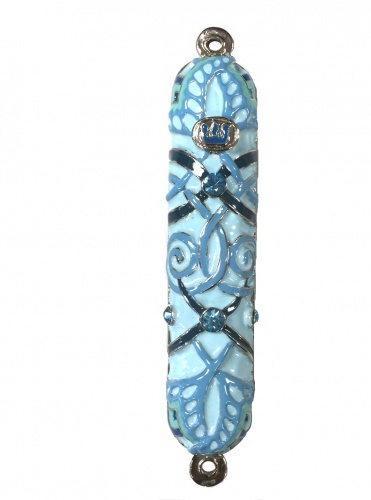 Blue enameled mezuzah case with rhinestones. Mezuzah case is open in back for easy Scroll enclosure. Mezuzah case is hand painted geometric design. Measures 1.00" w x 4.5" h. As an option, please select kosher sealed Certified Scroll. We can insert scroll for you if requested. May your house be blessed! !